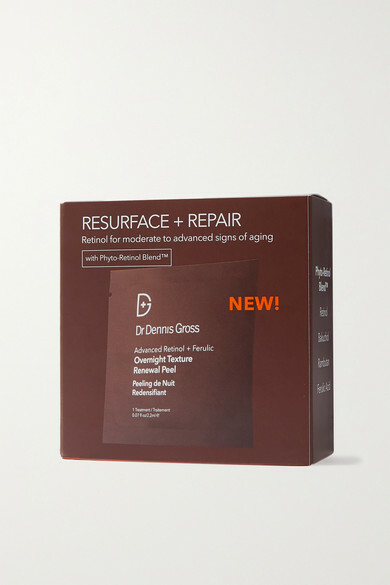 Dr. Dennis Gross Skincare's professional-grade 'Wrinkle Recovery Peel' works to boost skin renewal and combat signs of aging. Formulated with a powerful dose of Retinol, it brings cells to the surface to speed up the natural repair process. A moisturizing complex and Ferulic Acid keep the skin balanced and hydrated.